Whats a pickle without salt?! Well let me tell ya these are supercalifragilisticexpialidocious! When I was pregnant I went through an entire jar of pickles in about 2 days flat. Total pregnancy cliche..but I really was addicted. I would always wake up with total bloat face..not a good look let me tell ya! I am SO sensitive to sodium and I bloat up like a mini hippo whenever I eat too much of it. So when I discovered homemade no salt pickles a few weeks ago at my Dad's house I was hooked! The secret to no salt pickles is apple cider vinegar. I am a huge fan of this stuff but who knew that you could make pickles with it! 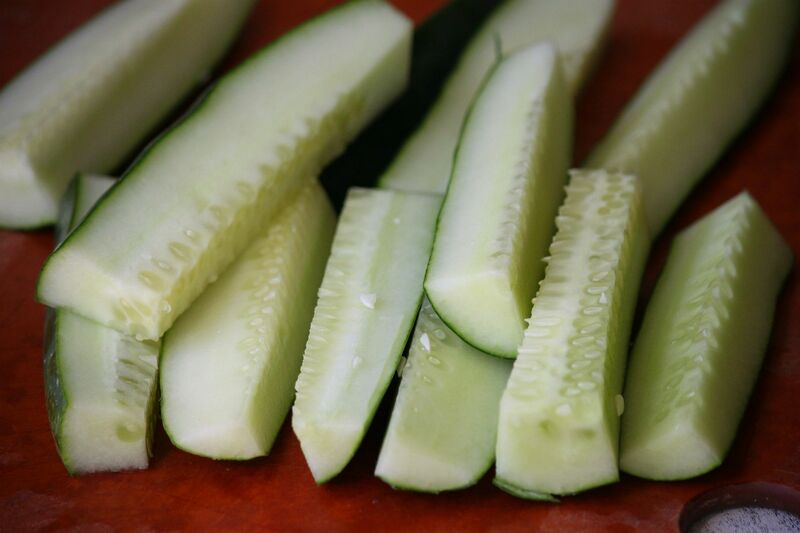 Cut the ends off the cucumbers and slice into long pickle like slices. Place the pickles into the mason jar and pour the apple cider vinegar in until it reaches the very top of the jar. Fasten the lid on tightly and place in the fridge. 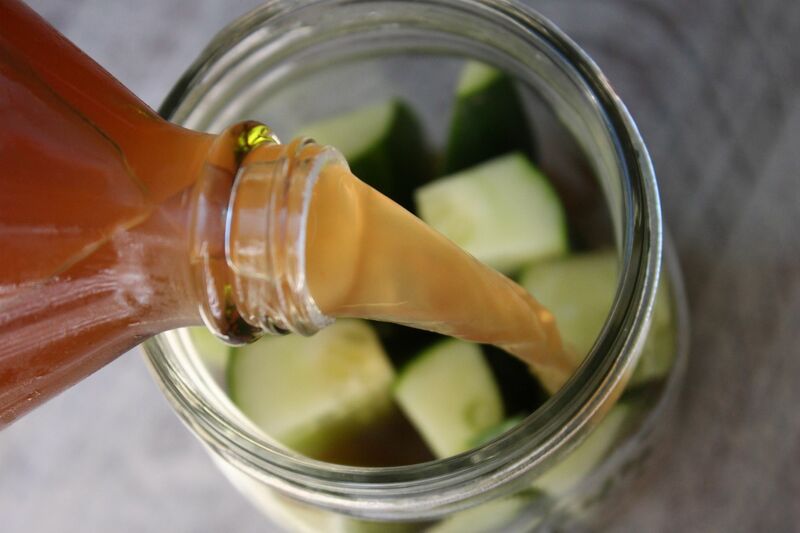 Wait about three days for the apple cider vinegar to infuse into the cucumbers and your pickles will be ready! Soo delicocus! You would never even know that they are salt-less! Max decided he has a great little hand and wanted to be in the picture. ah I love pickles! But always the next day my lips are even HUGER and I am incredibly thirsty. I'm going to have to try this super easy no-salt version myself! Yummy! I've got to try these! What an awesome recipe--thank you! You totally rock, my sweet friend! acv is like the best stuff ever. i love pickles, thanks for sharing this! Unsalted pickles? I've never heard of such a thing! Very interesting, I wonder if I make them without telling the hubby if he would notice much of a difference? Thanks for the tip! I"m so glad you posted this!! I want to make a batch for my mom for Christmas (she could eat pickles all day long) but have been too lazy to find a recipe. I bet they are 10x better than what you find in the store!! I think I need to try this out! Yum! If it was nutritious I swear I would eat a pickle for every snack, every day! I will definately have to give this a go. wow this is so good to know. I was a pickle person too while pregnant and I also bloated up a lot. I had permanent cankles. It was so bad that I didn't recognize my ankles after birth when they slimmed down again lol. I've always wanted to make pickles! These sound delish! I'm going to have to try this. I'm such a pickle addict. Thanks! I love pickles...always have! I've never heard of unsalted pickles but I have taken sliced cucumbers and put them in the left over pickle juice...YUM!! gonna try this recipe for sure!!!! I love pickles! I go through a jar every few days. Luckily, I'm not real sensitive to salt but I'll definitely try this recipe. You can't get much easier! very interesting and good to know. i love me some salt, but i hate me some bloat face. I love Apple Cider Vinegar & Pickles! Never actually thought about this before. I think I am going to head to the store and get some cucumbers. Thanks for sharing. 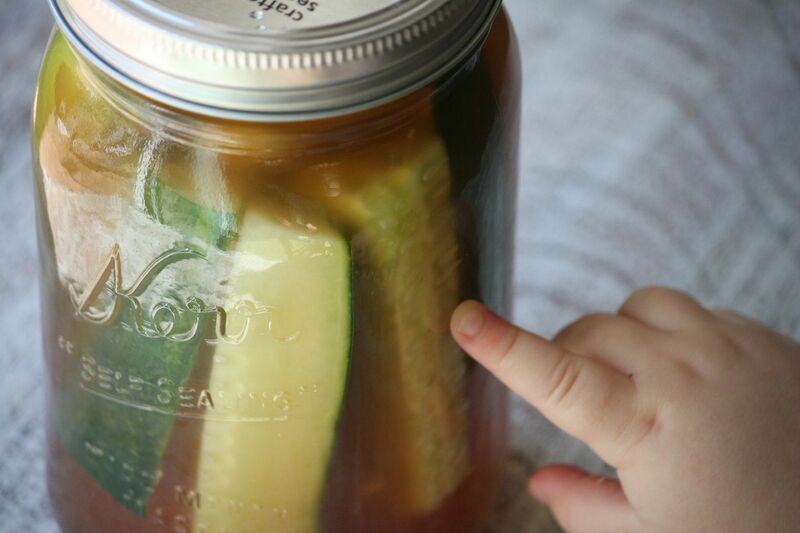 Love pickles...what an awesome recipe! Really? That's it? Just vinegar? I'll have to try that out. I make my grandma's recipe for cucumbers a lot and it's just sliced cucumbers with vinegar, sugar and water. Deeelish. I love both of these things so it may be worth a try! I LOVE pickles and so does my daughter. I love the little baby kosher dills. I bet it'd be good if you put minced garlic in there too! YUM! Need to try this!! I love apple cider vinegar, def wanna try it. Sucha great post :) I love pickles, def going to try this out. hmmm, yummy! i wanna try that! nice post! omg i've never made pickles - how cool! Apple Cider Vinegar is so good for you to! Thanks for sharing, xox! You are a girl after my own heart, or at least my own cravings. I love me some pickles! Thanks for sharing this Lindsay. OH MY WORD, we are addicted to pickles in our house. I must try! Thanks for sharing! yummy and super healthy! You always have the best recipes! Thanks for sharing! You are seriously full of awesome recipes and food ideas! That looks so easy! Looks yummy! Yummmm. How fun & delish. yes, im the same. salt turns me into a hippo in no time. plus i am a pickle fanatic :) this recipe is wonderful! thank you! Oh! Looks so yummy! Thank you for the sweet comment! I JUST ate these at a friend's house yesterday. And they were fantastic. 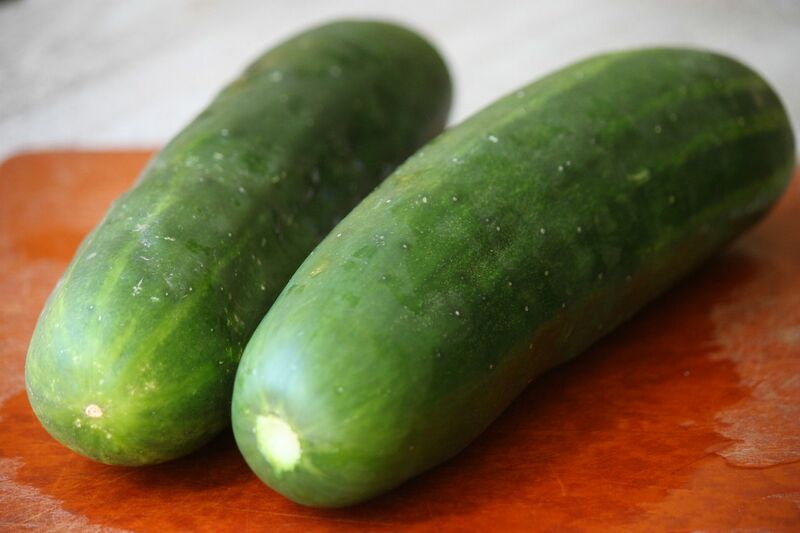 I could eat 50 cucs right now. Your pictures are great! Wow! I love pickles. I will have to try this. i'm sure they are really good! my mom use to make something similar, i think? I could eat a whole jar of pickles, ever since I was a kid I have loved them! Did you use unfiltered ACV? think I will add a bit of dill to this too! Awesome recipe! How long does it stay good ? thanks for the post i will try it. Made these today - will post results on Wednesday after they sit in the fridge for a few days. So very easy! After marinating in the fridge for three days, the result was less than spectacular. Decent but not over the top delicious. Maybe I'll get a better quality vinegar, instead of the house brand, next time. Very easy.